I was pleasantly surprised by this novel of Philippa Gregory’s, because I haven’t really liked many of her later novels; I much prefer her earlier ones. Katherine Parr, Henry VIII’s sixth wife, has always intrigued me – I think that, as Henry VIII’s only twice-widowed wife she has a lot of life to discover before she married Henry VIII, and it doesn’t seem to have been much written about. However, if you’re looking for a fictional account of Katherine Parr’s early years then this isn’t it. The story starts with the death of her second husband, Lord Latimer. Parts of this book I did find quite disturbing (I’m sure you’ll be able to guess which bit in particular if you’ve read it), and although I’m not convinced that it happened as Gregory wrote it, it does definitely reflect what we know about Henry VIII’s controlling personality. There are quite a few places in this novel where it really makes you question what you know about Henry VIII, and wonder if perhaps he was affected by a fall from his horse, or any other number of theories which attempt to explain why his personality seems to have changed. Of course, one could suggest that power just went to his head, but I guess we’ll never know the whole truth. Charles Brandon, Duke of Suffolk, and his wife, Katherine, are separated – later on in the series he has an affair. In reality, there is no evidence that the marriage of the Brandons was unstable, it seems to have been relatively happy. On screen, Henry Howard, is shown as being in his mid-forties and calls Katherine Howard his niece. In reality, Henry and Katherine were cousins, and he was actually only in his mid-twenties at this time. When Princess Elizabeth meets Katherine Howard she looks around 13/14 years old, but in reality she would only have been around 6/7. Henry VIII speaks of the death of the French dauphin just after his marriage to Katherine in 1540, but the dauphin died in 1536. Henry VIII is shown condemning Viscount Lisle to death, but he actually died in 1542 when being given news of his release. A marriage between Princess Mary and the Duke of Orleans is proposed on screen, but the duke was already married in reality by this point. There is no evidence that Anne Stanhope cheated on her husband, the Earl of Hertford, let alone with his brother. This perhaps parallels the supposed affair of Hertford’s first wife with his own father. Cromwell similar to David Cameron? Death of a monarch – die publicly, semi-public, public proclamation. Every Tudor death of a monarch is kept secret. Intrigues, political struggles – characteristic over regime with autocratic rulers. Henry VIII’s death replicates that of Henry VII. Elizabeth I’s death = change of dynasty. Robert Carey rides to Edinburgh to tell James VI of Scotland he is now James I of England. One smooth succession – death of Mary I, throne goes to Elizabeth I. Mary believed she was pregnant even on her deathbed. English relations with Scots not good historically – Elizabeth militarily prepared over religion. 1. 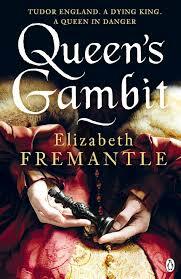 Elizabeth Wilhide has praised Queen’s Gambit, saying, “Fremantle…sheds an intriguing new light on Katherine Parr, one of history’s great survivors.” Aside from surviving her marriage to Henry VIII, in what ways is Katherine Parr a survivor? What do you think her greatest act of survival is? Why? How Far was Henry VIII Justified in Getting Rid of Four of His Wives? 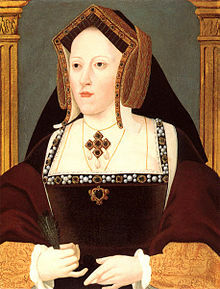 The reasons for the divorce of Katherine of Aragon have been much debated, both at the time and in the hundreds of years since. It seems that the primary reason for Henry’s wish to be rid of Katherine was that she hadn’t presented him with the male heir. She only had a daughter, Mary. Henry VIII wanted a son to follow him and secure the dynasty. 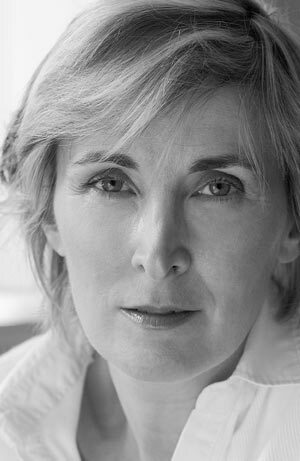 Author Helene HarrisonPosted on Oct 25, 2014 Jan 27, 2015 Categories Anne Boleyn, Anne of Cleves, Essays, Katherine Howard, Katherine of Aragon, Katherine ParrTags Anne Boleyn, Anne of Cleves, annulment, Catherine Howard, Catherine of Aragon, Catherine Parr, Divorce, Essay, Execution, Henry VIII, Katherine Howard, Katherine of Aragon, Katherine Parr, Kathryn Howard, kathryn parrLeave a comment on How Far was Henry VIII Justified in Getting Rid of Four of His Wives?